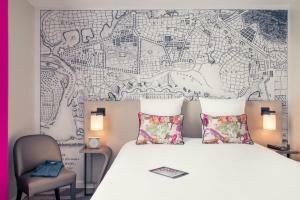 Mercure Tour Eiffel Grenelle is located in Paris’ 15th district, just 10 minutes’ walk from the Eiffel Tower. It offers a bar, a patio, a fitness room and a sauna. 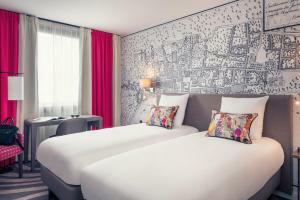 Some rooms have views of the Eiffel Tower. 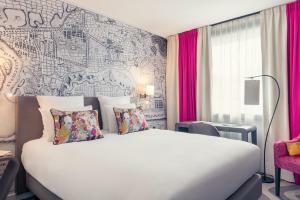 The air-conditioned guest rooms at the Mercure Tour Eiffel Grenelle have a flat-screen TV and a safety deposit box. 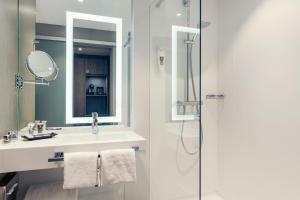 Each room has a private bathroom with bathtub and hairdryer. Free WiFi access is provided. The hotel offers a buffet breakfast every morning and room service. 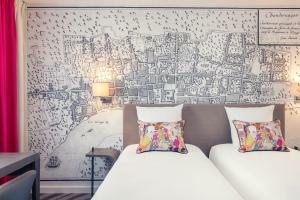 Dupleix Metro station is 30 metres from the hotel and provides connections to the Montparnasse Tower, the Galeries Lafayette and the Arc de Triomphe. 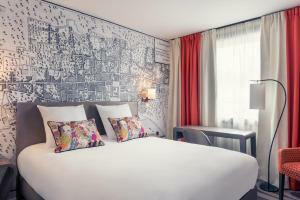 The Musée du quai Branly is 1.6 km from Mercure Tour Eiffel Grenelle. There is no capacity for an extra bed in the Twin Room. 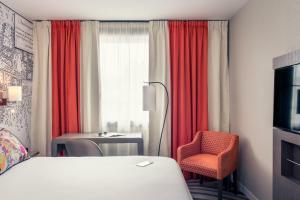 A minibar, tea and coffee making facilities and satellite TV are provided in this air-conditioned room. Free Wi-Fi is included. Rate: € 110.70 ... € 271.67; select dates below to get current rates. Rate: € 113.40 ... € 290.00; select dates below to get current rates. This double room has a soundproofing, iPod dock and minibar.